You are ready to purify your home. You know you want pure and natural. You know you want organic and sweatshop-free. You know you want undyed and sustainable. How do you decide which of the three organic sheets would work best for you? At the Rawganique Atelier, we have been growing, weaving and making organic cotton, linen, and hemp sheets since 1997. We touch, feel, and sleep with these fabrics everyday, and we can identify them with our eyes closed. This is why we are excited about opening our flagship retail store in Blaine, WA, so that customers who are in the Pacific Northwest can come and experience our different organic fabrics in person. We are very excited about it, and we hope you are too! Until then, let us describe the differences for you. The natural, unprocessed color of hemp fiber ranges from light beige to grey beige. We call it Desert Sand. 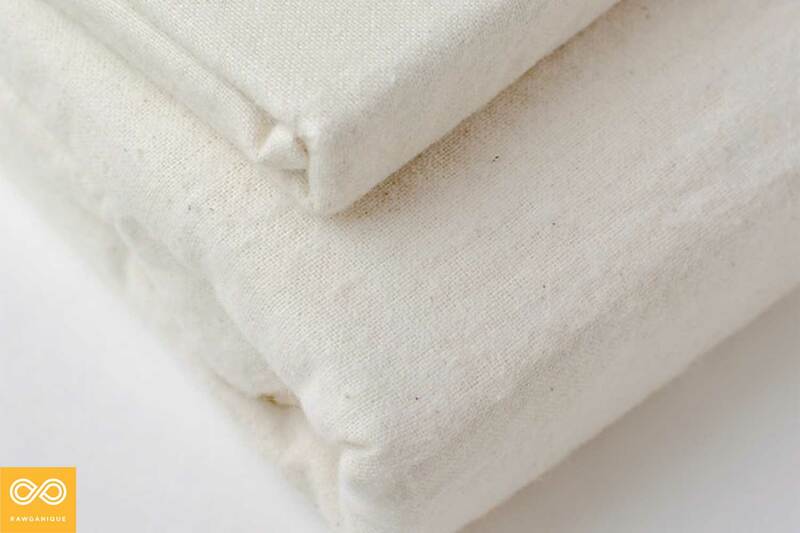 The color of our natural unbleached and undyed organic hemp sheets differs from batch to batch. If the harvest season is sunny, we get a lighter beige color, and if it’s prone to rain, then the color shifts towards beige grey. 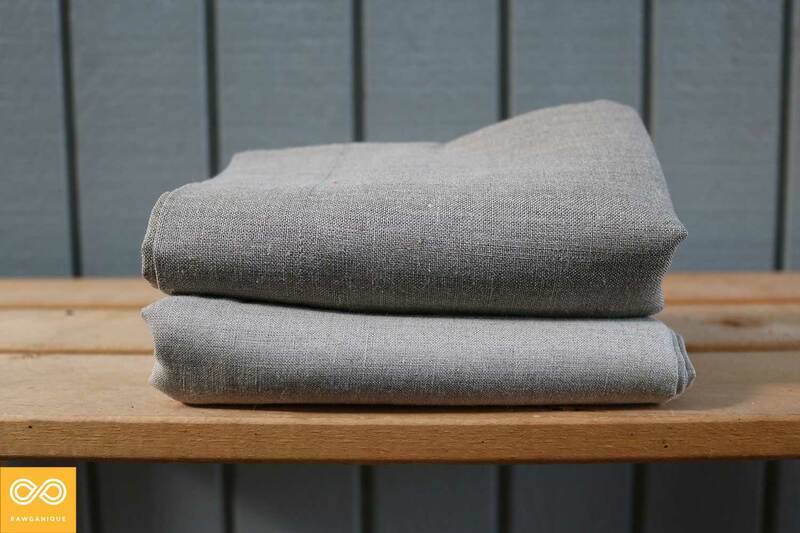 Linen’s natural color is silver-platinum grey. We call it Evening Sand Dunes. Linen’s tone is much more consistent, regardless of the weather, across the different harvest seasons. It must be mentioned here that we grow our hemp and linen in Europe the traditional way and process them the traditional organic ways as well. 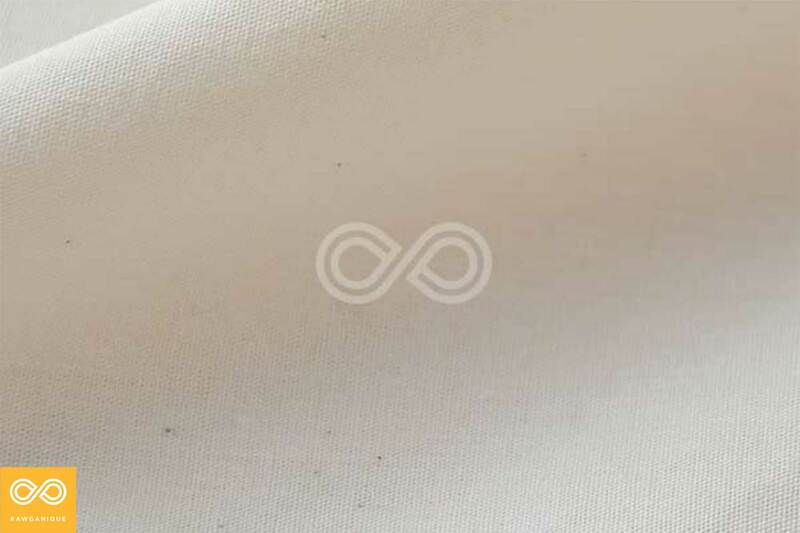 We mix our linen fibers from 39 fields to maintain the integrity of the fiber and never grow a crop more than every seven years in any given field, to give the ground time to regenerate. We do the same with our hemp fibers. 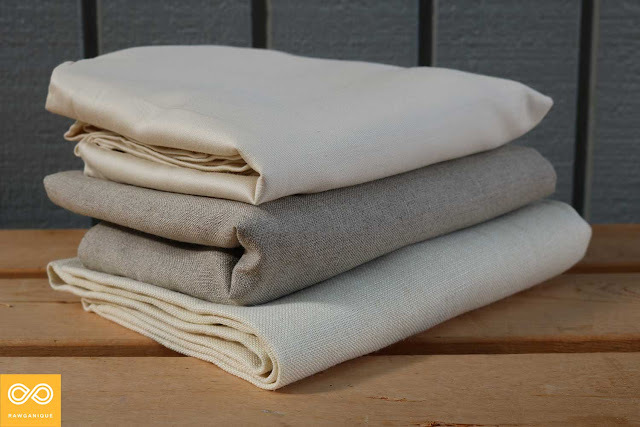 Natural (unbleached, undyed) organic linen bed sheets in fine (top) and extra fine (bottom). You may know natural organic cotton color to be off-white, but this hasn’t always been the case. Thousands of years ago, cotton came in green or brown, and years of hybridization has resulted in the current off-white color. Cotton fibers comes from the fluff in the mature pods of the cotton plant. They are then cleaned and ring-spun into yarn which can be initiated or woven. 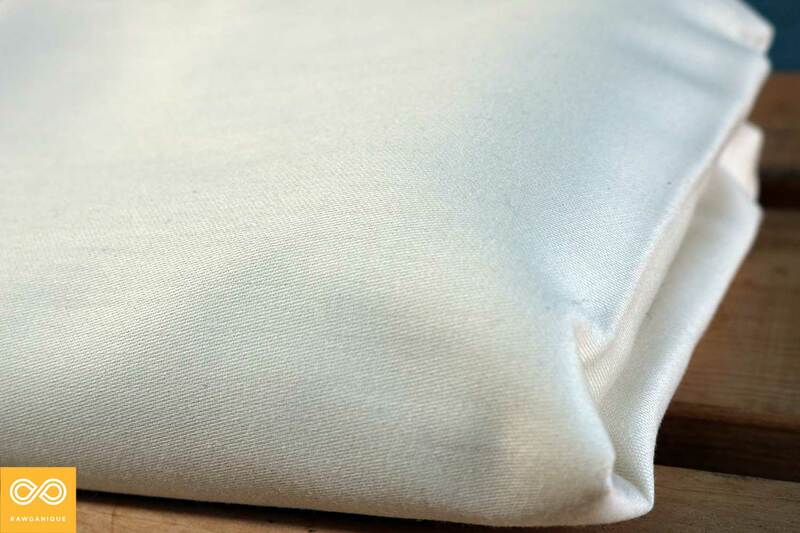 Cotton can be spun into very fine yarns, resulting in a silky smooth fabric like our organic cotton sateen sheets. Linen and hemp, on the other hand, are called bast fibers, which are fibers that are extracted from stalks of plants (in this case the flax and hemp plants). The process of separating the tough outer skin from the finer fibers inside is called retting (by natural fermentation in our case, and by acid or caustic sodas in most other cases) and scutching (which further refines the rougher fibers for ropes from the finer fibers for fabrics). We then comb and spin the finer fibers into beautiful long strands that can be woven or knitted into fine fabrics. Whereas cotton fabrics are graded by thread count (up until about 340 thread count is great and smooth while still maintaining the durability and integrity of the cotton yarn) and hemp and linen fabrics are graded by weight (how many ounces per square yard). Organic linen and hemp have hollow cores of varying thickness over the length of the long-strand fiber. This makes the fabrics richly textured. You can feel the fibrous and expansive texture of the yarn, which is a sensual tactile experience for many people. Hemp and linen fabrics that have been grown and processed traditionally and organically have characteristic naps throughout. These naps are highly prized by linen and hemp connoisseurs for being the mark of high-quality, naturally processed linens. 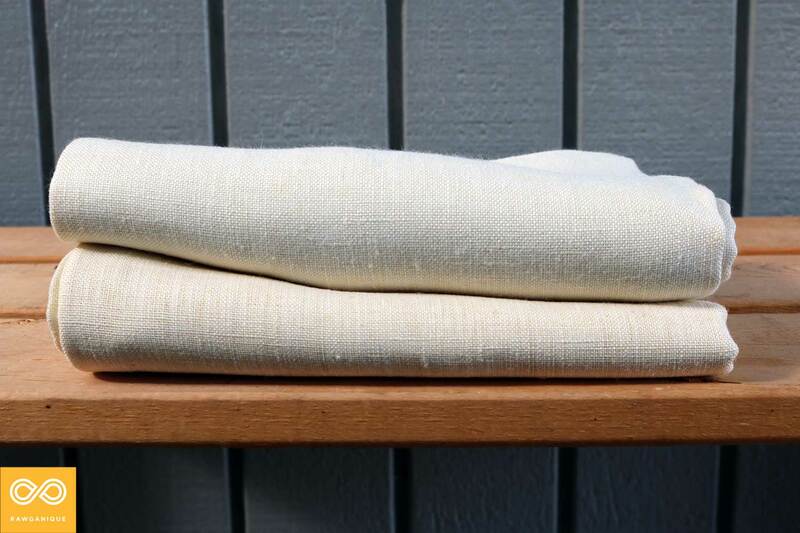 Natural (unbleached, undyed) organic linen (left) and organic hemp (right) fabric. 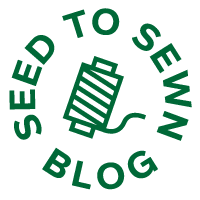 Why are we describing hemp and linen fabrics together? Both are bast fibers that come from plant stalks (the cannabis hemp and flax linen plants, respectively). They are processed the same way, and share many similarities in look and feel. In fact, the untrained eye would struggle to tell them apart. 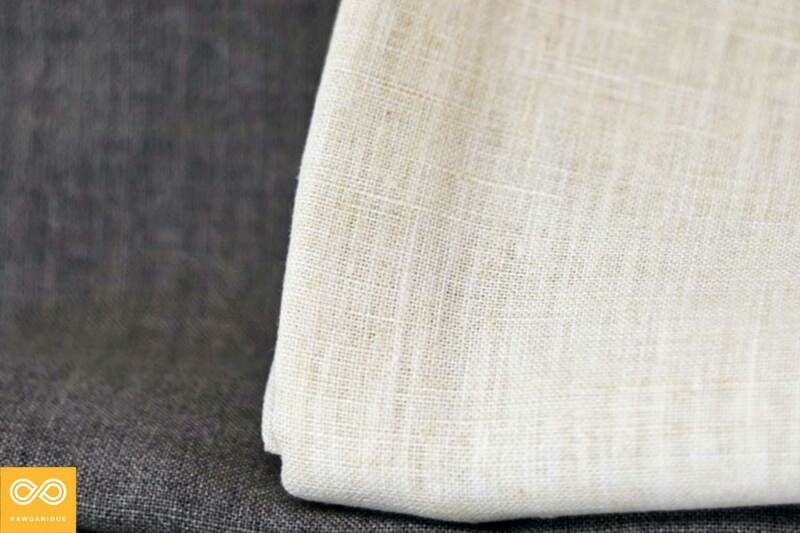 In general, linen can be made into slightly finer fabric than hemp, making it sometimes a bit smoother to the touch of your hand. In contrast, hemp, is more versatile and can be transformed into a wider range of products. 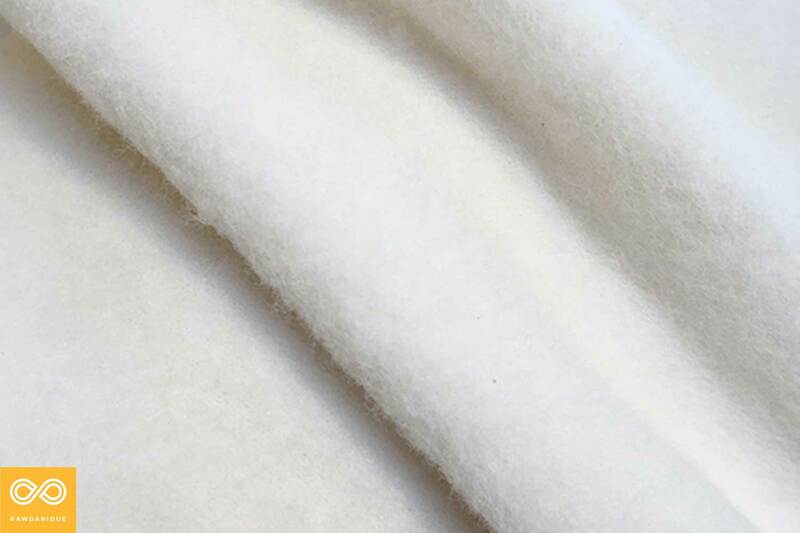 What is unique about cotton is its ability to be transformed into several varieties of look and feel: flannel and fleece are more plush and fuzzy, whereas sateen and percale are more silky and smooth. Cotton is, by far, the most familiar of the three fabrics for most people today. That’s because, like many labor-intensive industries, it’s subsidized, and therefore made artificially cheaply available. Unfortunately, organic cotton is not (organic cotton is cotton grown and processed without pesticides, GMO, and chemicals). You can get just about anything made from conventional cotton - most often in the GMO form that is grown with pesticides and processed with chemicals. Historical note: Until Eli Whitney invented the cotton gin in 1793, linen and hemp were far more prevalent, because these fibers could be grown on any scale (even in your own backyard! ), whereas cotton needed large plantations, cheap or free labor, and big machinery in order to be economical. Then came the cotton gin, the slave trade, and public subsidies for plantations, and the rest is history. Cotton is a lot more intensive on water and land than either linen or hemp, which requires almost no water and, when grown organically like we do, no pesticides or chemical fertilizers to grow. Hemp is known as the strongest natural fiber in the world. But what many people fail to understand is that its strength is mostly tensile, applying to linear force. For example, when hemp is twisted or braided into cords and ropes, the fiber’s strength is unmatched among natural fibers. Organic cotton, while lacking in tensile strength, proves very durable as fabric because it can better withstand repeated friction. The durability of hemp and linen really comes down to the way it is cared for and washed over time. In all three cases, we recommend washing as rarely as possible. Use a front-loading washing machine, or a top loader without an agitating core. It’s very important that you keep organic fabrics away from high dry heat. Most modern dryers will weaken your natural fibers, rendering the yarn brittle and shortening the useful life span of the garment, so use them sparingly and always on a low/gentle cycle and remove your linens promptly just when they are about to dry. Historical Note: Hemp and linen sheets have historically bound generations; they were passed on from mother to daughter, and so on. Of course, people didn’t launder their sheets every week as people do now. Nor did they use chemical detergents, bleach, agitators, or high-heat dryers. As all three are woven fabrics, they are about equal in elasticity. Our organic cotton knit and fleece sheets will provide more stretch because knits are naturally more flexible than woven fabrics. 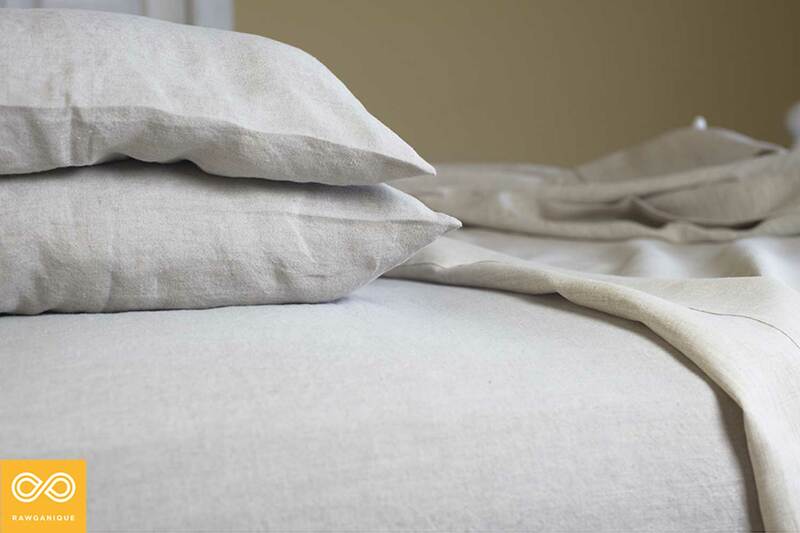 If you sweat while your sleep, you’ll be happy to know that organic linen and hemp sheets are both absorbent and breathable. They are efficient at wicking moisture, so you don’t wake up drenched in the middle of the night. The oldest fiber known to humankind, hemp, is also the smartest fiber around. Hemp doesn’t need nano fibers or any microchips to keep you comfortable and dry the whole night long. In this regard, cotton simply does’t compare to hemp and linen because cotton fabrics are smooth and silky and not adept at wicking away moisture as well as hemp or linen. In fact, hemp and linen both absorb 150% of their weight in water, whereas cotton absorbs about 100%. Thanks to the hollow cores of bast fibers, fabrics made from hemp and linen insulate very well. It’s a paradox, and honestly hard to comprehend. 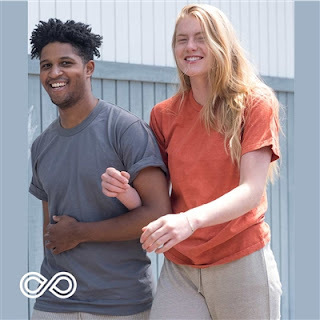 Hemp and linen clothes will keep you cool and dry in the heat by wicking away moisture, AND their hollow cores will protect you from the cold by trapping your own body heat to warm you. Amazing, eh? And hemp and linen fabric are generally more breathable than cotton. Hemp and linen sheets are great for year-round use. It takes but a few minutes in bed to feel comfortable and cozy. Because organic cotton yarns are so fine and uniform, cotton fabrics aren’t as great as hemp and linen in terms of insulation. Some people prefer the silkiness and smoothness of our organic cotton sheets, and others prefer the breathability and coziness of organic linen and hemp sheets. Organic cotton sheets are more breathable than polyester and other synthetic fabrics like bamboo or rayon sheets, but they just aren’t as breathable as hemp or linen sheets. This one you know already. Hemp and linen will wrinkle, then relax again with ambient moisture. Organic cotton doesn’t wrinkle nearly as easily, and bounces back quickly, too. While highly prized traditional linen and hemp sheets from Ireland, France, and England were ironed crisp, our organic linen and hemp sheets are offered in relaxed, un-ironed state that is both casual and luxurious. Our customers love that the coziness of hemp and linen can be experienced right out of the box. The relaxed bed can look very modern and inviting. 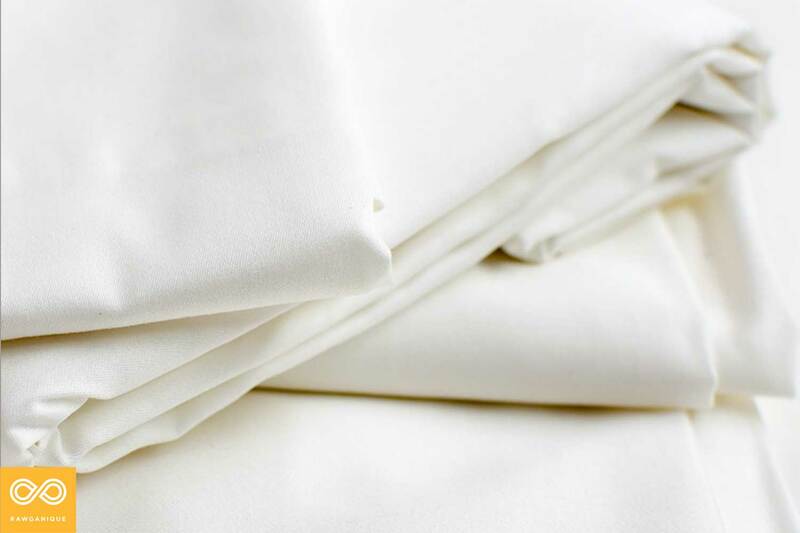 We offer ironed organic linen and hemp sheets as well. This is where it gets tricky. For every person who swears by organic cotton sheets, there is someone else who won’t settle for anything but hemp or linen sheets. It really comes down to a matter of preference. If you’re looking for bragging rights, choose hemp and linen. If you’re a night-sweater, FOR SURE go with organic hemp and linen. If you like texture, definitely hemp or linen. But if you want a smooth as silk experience while you sleep, then go with organic cotton sheets. At Rawganique, we create the purest and most authentic organic cotton, linen, and hemp sheets on the planet. We spent years collecting vintage linens at flea markets all over the world to help us perfect the craft of old-world luxury linens. It’s our true passion and calling in life. 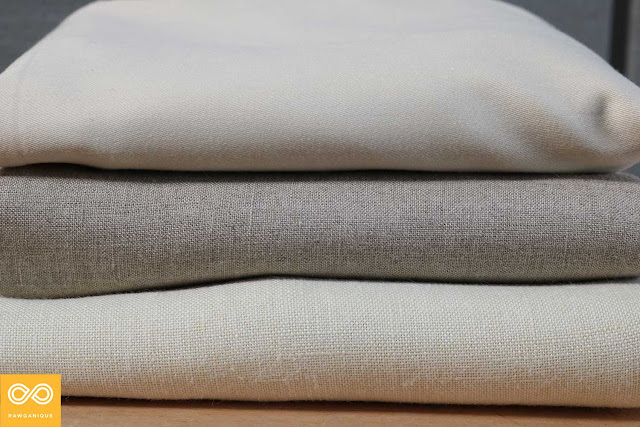 Organic sateen cotton (top), organic linen (middle), and organic hemp (bottom) bed sheets. At our ateliers, we grow and process our organic fibers the traditional way. No pesticides, no GMOs, no acids and caustic sodas. No dioxin, no formaldehyde. We dew-ret, scutch, and mechanically comb our hemp and linen fibers the way it’s been done in Europe for hundreds of years. Often, large scale production defeats the purpose of hemp and linen by boiling down hemp and linen fibers with acids and caustic sodas into a pulp that can then be spun like cotton. Hemp and linen are different than cotton, and that’s the beauty of biodiversity. We strive to protect and promote, even celebrate, the differences in the three amazing natural fibers that we work with. All of Rawganique’s products are made in USA, Canada, and Europe by artisans. They are all sweatshop-free, animal-friendly, and cruelty-free. Still not sure which sheet set to go with? We recommend you sleep on it. Literally. Get a pillowcase in each fabric and sleep on it. Then you’ll know. Many people lose their hemp and linen virginity at Rawganique, and we have to say that almost all of them have become lifelong champions of the these amazingly versatile and environmentally plant fibers. By wearing hemp and sleeping on hemp especially, you can literally change the world. Our customers do mix and match organic cotton, linen, and hemp in their wardrobe, according to their preferences for certain qualities in each item in their wardrobe. If you have more questions, please ask us! Send us an email at info@rawganique.co and we’ll be happy to answer any of your questions about the three organic fibers we are very passionate about! Which of the three do you prefer? Let us know!